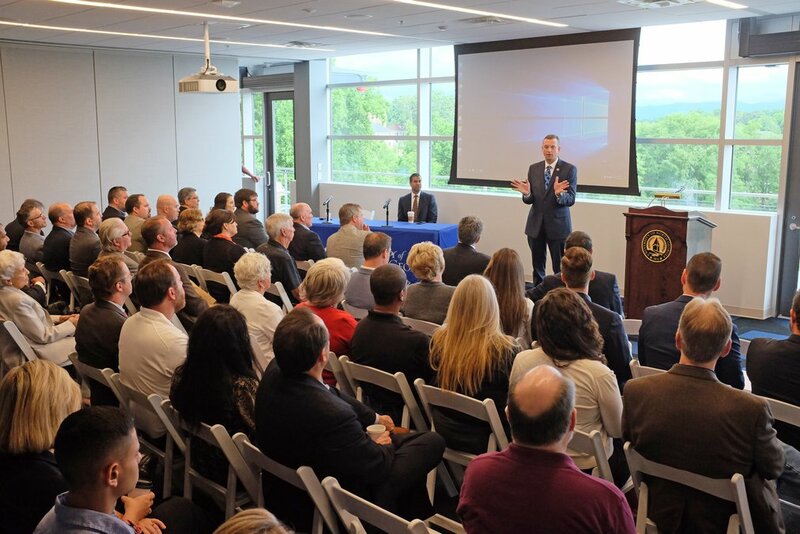 Progress is being made and more is coming on rural broadband issues, Ajit Pai, chairman of the Federal Communications Commission, said while attending a forum in Dahlonega on Friday. 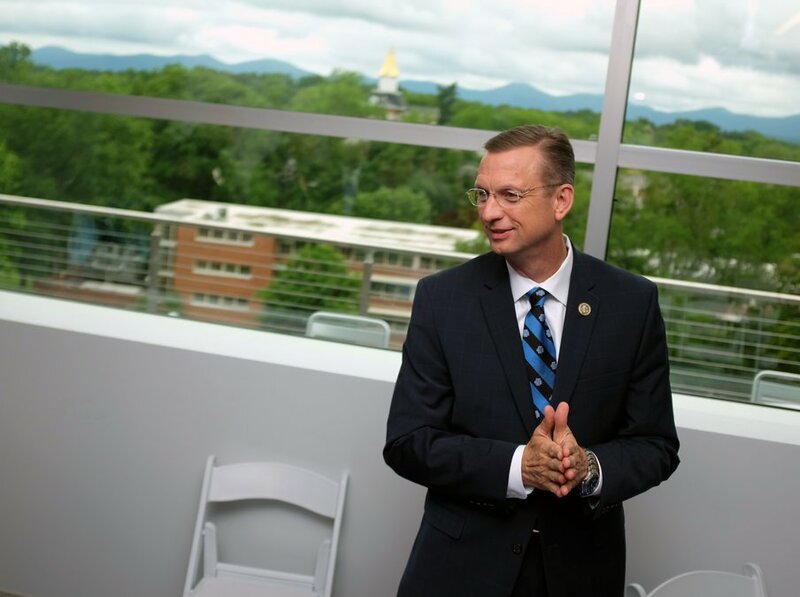 Pai and U.S. Rep. Doug Collins, R-Gainesville, talked May 25 to a packed room of telecommunications industry leaders and local and state elected officials at the University of North Georgia’s new convocation center in Dahlonega. 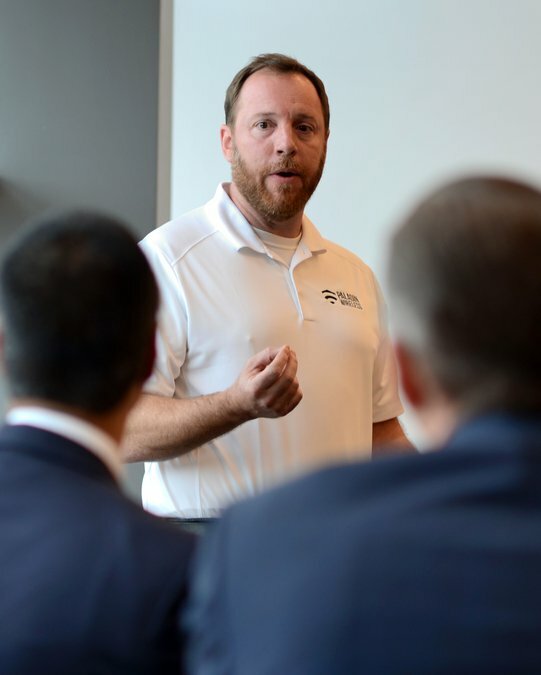 From updates to federal grant funding for telecommunications providers to regulations of internet service providers, Pai told the group of more than 50 people that bipartisan changes are being made to help bring internet access to rural Georgians and rural residents nationwide. Of all the issues facing the FCC, Pai said, including robocalls and net neutrality regulations, access to internet on the part of the 34 million Americans who don’t have adequate access is the most important. Pai, Collins and other speakers discussed internet access, the new, grand infrastructure issue of our time, and said expanding access from metro areas and into rural markets would help bridge the gap in academic and business opportunity facing rural areas. State lawmakers especially have talked about population losses and economic decline caused by population drain of rural areas’ most talented students and residents, who are fleeing decline in favor of more populated areas and better jobs. “The jobs that we have created have been created mostly in the urban areas, and that’s great, but rural Georgia is dying on the vine,” said Rep. Terry Rogers, R-Clarkesville, one of Gov. Nathan Deal’s floor leaders in the House. He said the state needs to find new solutions to rural decline and likened the push for rural broadband to rural electrification in the 1940s and 1950s — a movement that created the electric membership corporations serving much of Georgia. Kevin Woody’s business, Woody’s Pharmacy, which has a location in Clermont and in the Dahlonega area on Ga. 400, was one of those fruits drying up on the vine. Because of unreliable, verging on absent, internet service at his business, Woody couldn’t get access to those prescriptions — sometimes for 24 hours or more. He was having to send people to chain pharmacies or tell them to come back tomorrow when the connection might improve, he told the audience on Friday. With most people paying with credit or debit cards and regulations requiring him to track and report sales of controlled substances, Woody couldn’t function without an internet connection — costing him thousands of dollars during outages. The bill allows the Georgia Department of Transportation to lay its own fiber optic cable along interstates and to lease the land to companies also interested in laying cable. SB 406 establishes a “broadband-ready community designation program, which essentially means a city or county has capped its telecommunication fees and streamlined its permitting process for service providers — a major hurdle for private industries trying to comply with multiple layers of regulation. The bill creates a mapping system similar to the FCC’s own system that will allow the state, public and private business to identify areas of need. Finally, SB 406 put the framework in place for a grant and loan program for companies who need cash in order to expand internet service in rural areas. A missing piece this year is funding, Doss said, noting that Gooch and his staff wanted to get the framework for rural broadband in place and get the right state employees up to speed before requesting the cash needed to fund the programs. Another bill is in the works for the next legislative session to fund the program, Doss said. A state-level grant program is good news for Steve Fortmann, owner and operator of Paladin Wireless in Royston. Fortmann has been setting up small-scale, wireless broadband systems throughout North Georgia since relocating from metro Atlanta to the rural community in far North Georgia and being shocked by poor service, which was interrupting his ability to do business and his children’s opportunity to be educated. Fortmann has been frustrated by the FCC’c Connect America Fund program, a multibillion-dollar grant program intended to expand rural broadband, because he’s watched the money get absorbed by large companies that he argues aren’t holding up their end of the deal. Pai himself acknowledged former grant programs haven’t had enough accountability built into the agreements and that the next round of funding, which is coming available in July, requires companies to report their progress to the FCC on a quarterly basis. And now, Pai said the new round of funding will be open to new types of businesses providing internet service, including small operators like Paladin. After the discussion, Pai talked with The Times about net neutrality, including whether he’s seen any abuses on the part of the private sector since the regulations were rolled back, and other rural broadband issues. “We didn't see a broken internet in 2015, when these regulations were imposed, and going forward we’ve instituted strong consumer protections both through the FCC’s transparency rule, which will require every single internet service provider to disclose various business practices, and at the Federal Trade Commission, which is empowered to take action against any unfair or deceptive trade practice,” Pai told The Times. “The chairman over there, Chairman Joe Simons, recently testified alongside me in the Senate. He said explicitly: We’ll take a look at any anti-competitive behavior we see in the marketplace and make sure we have competition and consumer protection. With Congress weighing whether to bring net neutrality regulations back through law, rather than FCC-created regulations, Pai said lawmakers should take action to ensure an open internet rather than layering on more rules. 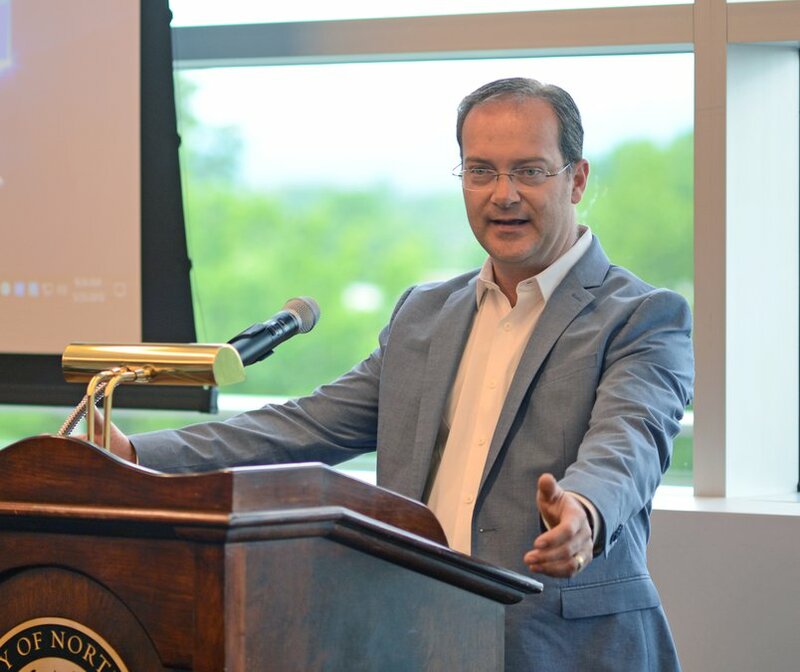 Since becoming chairman in 2017, Pai has traveled to 25 states and two U.S. territories for meetings like the one held in Dahlonega. “The No. 1 thing I hear from consumers about their internet is not that their provider is blocking access to lawful traffic, it’s that they don’t have access at all or there’s no competition,” Pai said.